Given that Southern California has had way below average precipitation this rain year, I was a little surprised to find a few widely scattered patches of snow on San Gorgonio Mountain this past Saturday. 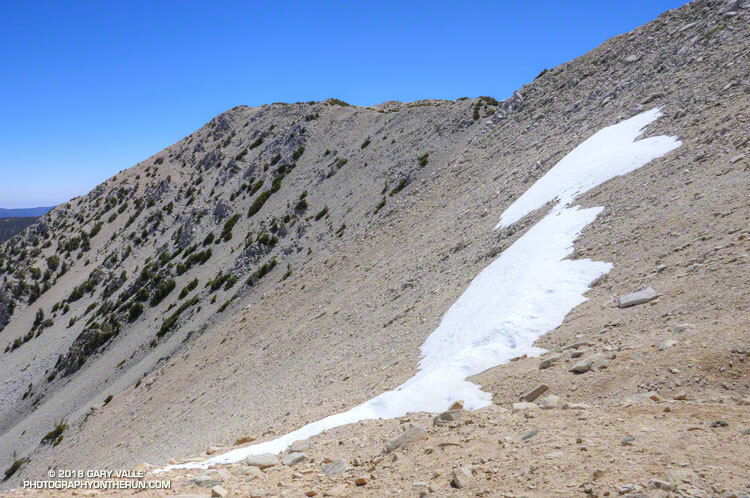 The patch of snow in the title photograph was at 11,000′, about a mile from San Gorgonio’s summit. This Google Earth image from last year shows an overview of the area. 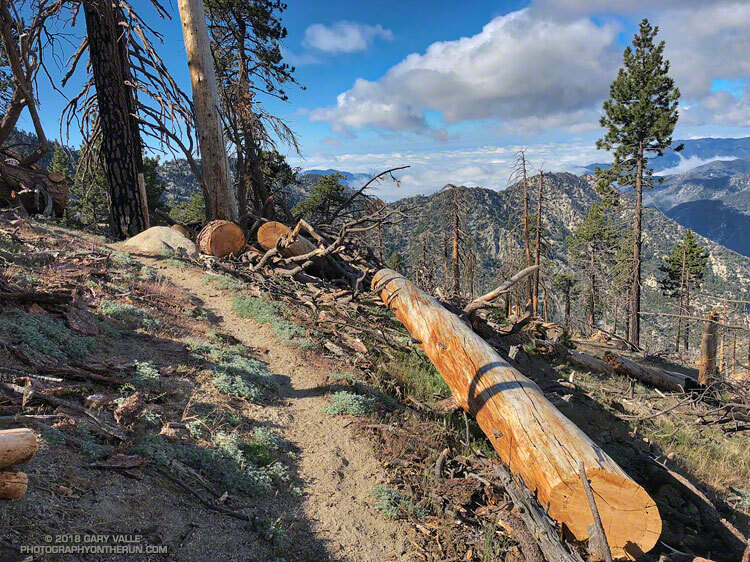 There was a lot more snow last year, but the same patch — in a deposition area — is near the “San Bern” in the “San Bernardino Peak Divide Trail” label. There was “shorts and short sleeves” weather for the entire run from the South Fork trailhead.